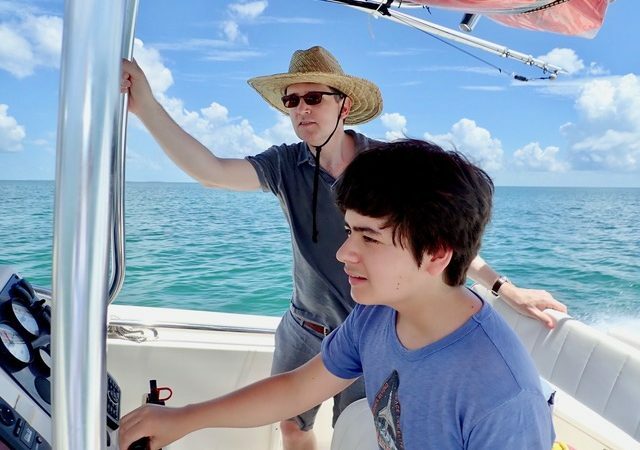 This is the only hands-on boating safety lesson in the Keys. You learn how to: a) dock a boat in different situations, b) drop and retrieve an anchor, c) understand weather, wind, and tides and d) drive a boat. Just one tip from this three hour session could pay for the entire lesson. 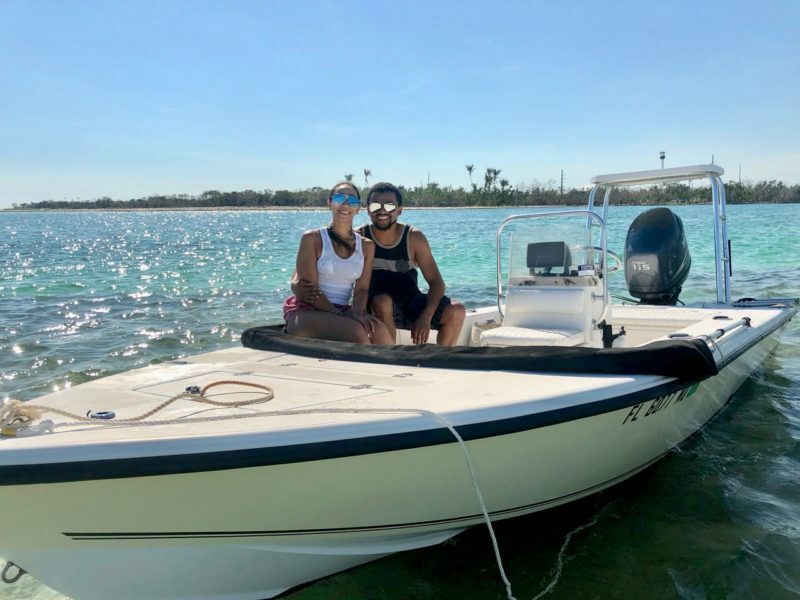 You are thinking about buying a motor boat, or you bought one, but you don’t have the experience to comfortably head out on the water by yourself. Or, you might want to rent a boat without having to hire a captain. 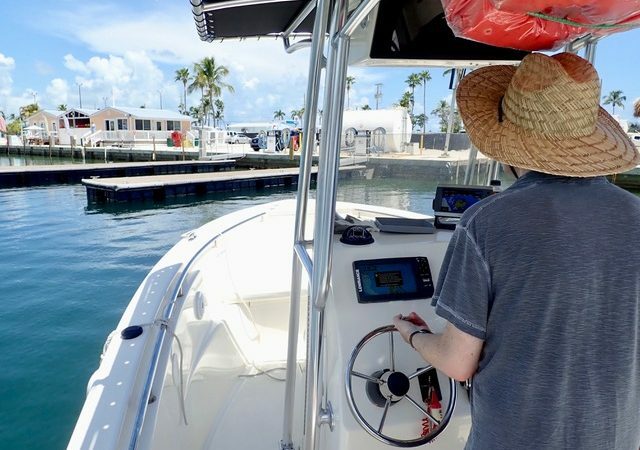 With Keys Boat Tours, based out of Big Pine Key, you learn how to: a) dock a boat in different situations, b) drop and retrieve an anchor, c) understand weather, wind, and tides, and d) drive a boat with confidence. You also have the option to learn how to properly trailer a boat (1 hour). You put the boat in and take it out. We start by taking a look at a chart (and a gps). We review some physical aspects to the boating safety course and some other practical advice. We review local navigation, so that you truly understand markers and don’t run aground. 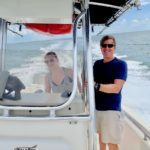 This is a “must take” course for: a) anyone who is not 100% confident in operating a boat, b) anyone who is buying/purchased a boat, and c) anyone who wants to boat safely and properly. Hands-on training is required for all. Classroom lessons are great, but this is the test. This first of its kind, official hands-on boating course is; 3-1/2hours, up to 2 individuals for $375. It includes a booklet with valuable fishing 101 tips. 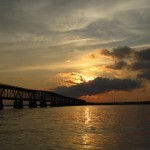 The lesson takes place on Big Pine Key. But, we also offer to come to you and use your boat for an additional $100. We introduce you to your boat (and boating playground), and can even put tracks on “your” GPS. This 3-1/2 hour “private” lesson will get you started like nothing else. We also offer: sailing 101, fishing 101, and local / backcountry navigation 101 lessons. You will gain lots of confidence from what you learn too – guaranteed. Makes a great gift! In this 3 hour course we trailer the boat in and out. You learn the basics about GPS; reading a chart and setting routes. We review some workbook materials but 100% of the time, or 3 hours is hands-on. You drive, navigate, anchor, and dock. 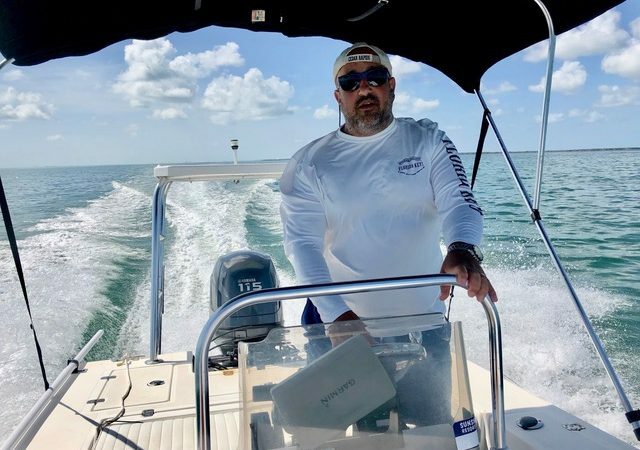 The boat you train on is a 2004 18' Carolina Skiff Sea Chaser Flats Boat with a Yamaha 115 four stroke outboard, complete with a Garmin touch screen GPS. Satisfaction s guaranteed. We have not had a dissatisfied customer yet. Sunglasses, towel, hat, sunscreen, water bottle, neck bib, long sleeve shirt, wind breaker, bandana, snacks. A signed release waiver, and cash or credit card payment, is required prior to boarding. If prone to seasickness, we recommend that you take Dramamine (or other) the night before. We want you to drink plenty of water, have something to eat, and use sunscreen liberally. 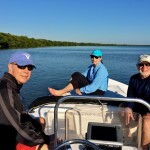 An hour loop around Bahia Honda and Ohio Keys with Captain Brian on our flats boat. See the Gulf and the Atlantic sides. Skinny water and beautiful beaches. Cruise under bridges and have your photos taken. 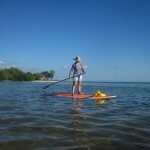 This is a great way to get on the water, and just may be the best deal in the Keys! A sunset in the FL Keys is a magical experience to behold. 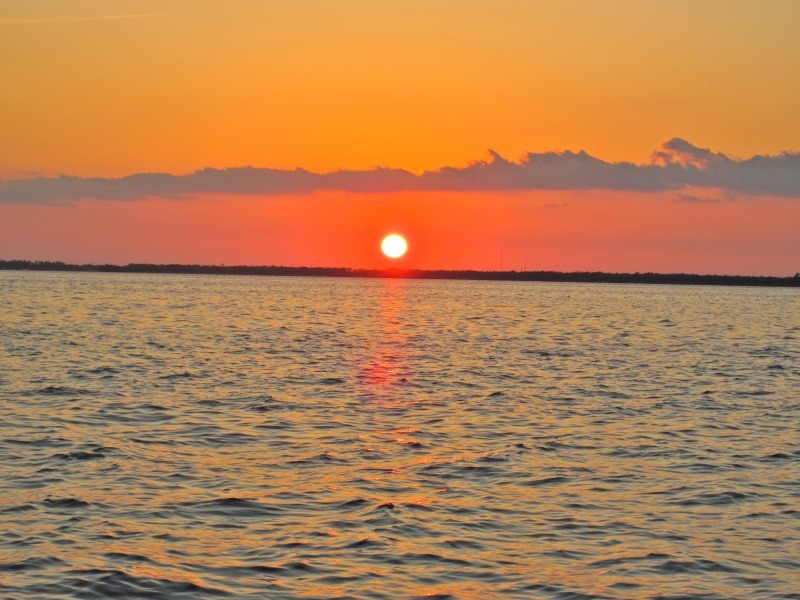 There are few places on the east coast where one can see the sun set into the water, and this is one of them. Motor or sail, ocean side or Gulf. We depart the marina 1-1/2 or 2-1/2 hours prior to sunset. Bring your own sunset drinks and snacks. We might even take a quick dip–whatever we want. 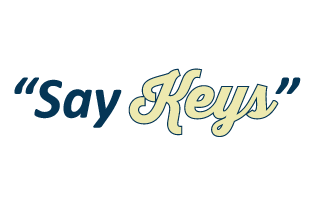 You’re in the Keys! Eco • Snorkel • Paddle • Beach • Lunch: it’s up to you. 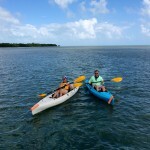 The backcountry of the FL Keys is a very special place to explore. 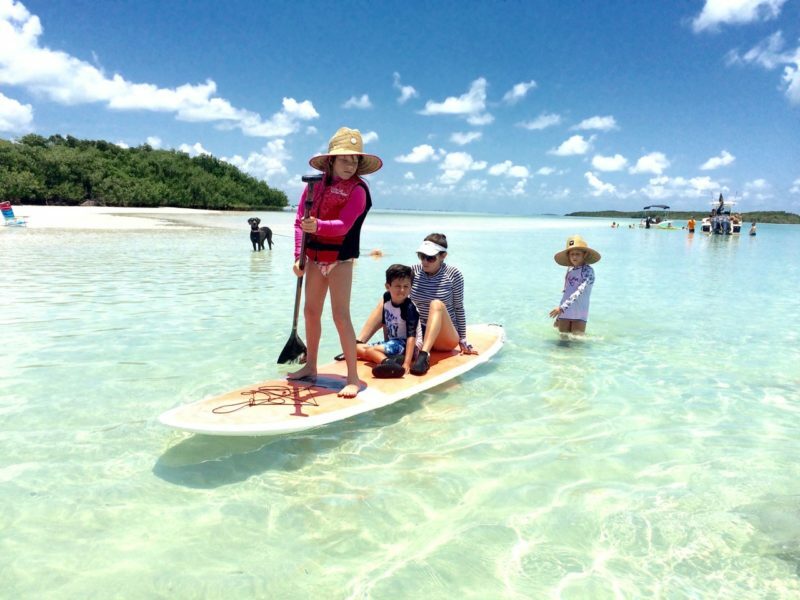 Located on the Gulf side, we’ll cruise the backcountry to the Content Keys, walk the flats, snorkel, paddleboard, see the birdlife. Our specialty is families and kids. A fun day on the water!